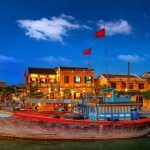 For many years, Sapa is always one of the best places to visit in Vietnam, and if you are planning to visit Vietnam, Sapa must be on your list. Even now, this town is becoming more modern and affected by the tourism, the landscape and the culture of ethnic people in there are still worth to pay a visit. Sapa is well known for a stunning landscape with beautiful valley and signature rice terrace. You can also visit the roof of South East Asia, Mount Fansipan at 3143 meters high and this trekking route is a real challenge. 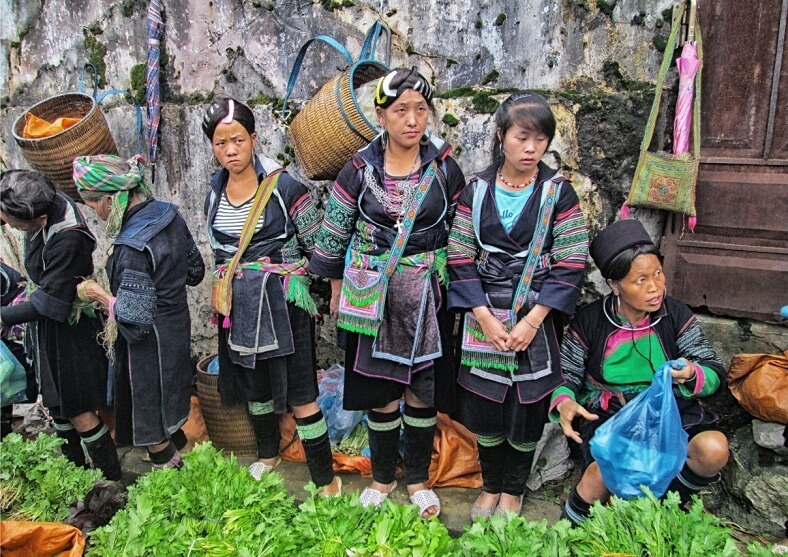 The ethnic people in Sapa have a unique culture and religions that also perfect for you to learn more about the local culture. 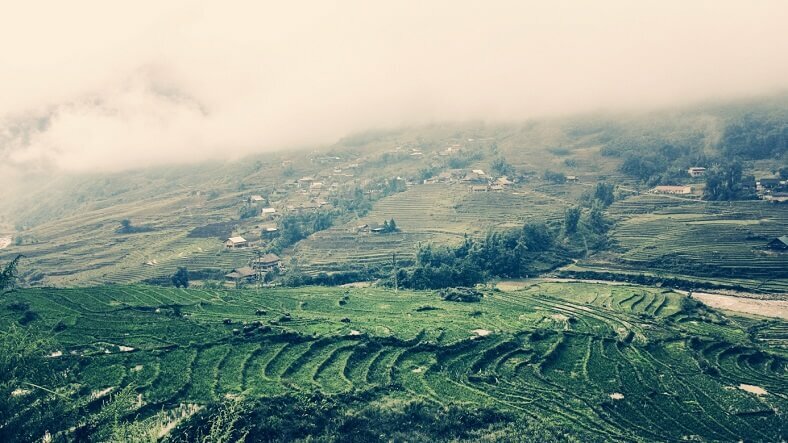 In Sapa, you can visit the beautiful Cat Cat Village and Ta Van village with a light trek, get close to local people and interact with them; blend into the ethnic market in Bac Ha and try some strange local foods; learn how to bargain and especially, drink wine and smoke the local herb. All of these will become an unforgettable memory for you. So, to visit Sapa, you can simply go by three different transports: train, bus and motorbike. Train is the most popular transport that most of travellers choose to travel from Hanoi to Sapa. It’s safe and not too expensive. From Hanoi, you can take a train at Hanoi Train Station at 09:00 PM and you get to Lao Cai Province at around 05:00 AM. From there, you need to take a bus to Sapa Town, and it’s easy to hire a private van at Lao Cai Station. 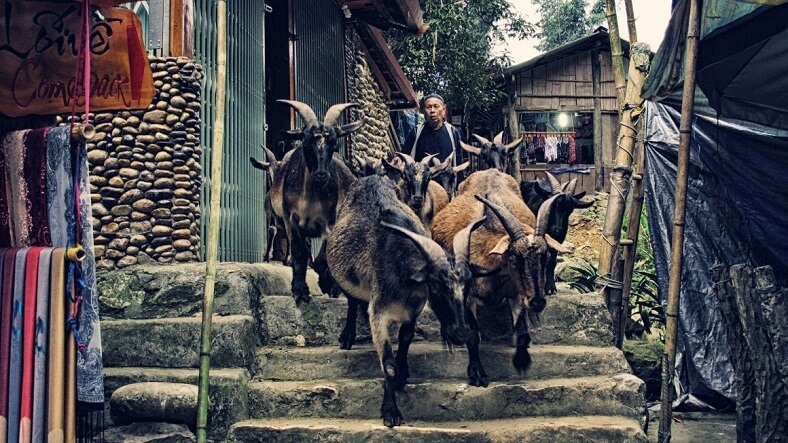 It takes another 40 minutes from Lao Cai Station to the center of Sapa. There are two type of train from Hanoi to Sapa. The local trains have both seat and sleeping berth, but there is no air conditioning for the sleeping berth. The price, of course is cheaper but for 8 hours traveling, it’s better to have a good sleep than sitting for the whole night and cannot sleep. With this thought, you can choose tourist trains that specially made for tourists. A bit expensive but you can choose to have a private cabin for 2 or 4 berths with air-conditioning. Here are some trains you can look for, including Fansipan, King Express, Sapaly, and Victoria. The price is in the range of 40 USD/berth/way and a private cabin will cost around 150 to 200 USD/cabin/way, for maximum four persons. Victoria train is a luxury train that only serves for Victoria Hotel’s guests. If you want to go with this train, you have to book a room at Victoria Hotel in Sapa. Otherwise, for a better option, I would recommend going with Fansipan train. Their services are nice, and they also have a rest stop in Hanoi with breakfast and room for you to rest for a short time. However, please note that the train in Vietnam is not as good as the train in your place. Since 2015, the government built a new high way from Hanoi to Lao Cai which makes the road from Hanoi to Sapa smoother and quicker. With a shuttle bus, it takes only 5 hours from Hanoi to Sapa. You don’t need to take any other bus to get to Sapa and the time is shorter, so it’s convenient. The cost of one-way shuttle bus is only around 10 USD/person/way so it’s preferred for budget traveler or if you don’t want to spend one night on the train. With this bus, you can have more time to visit Sapa and hire a private van is not too expensive, in compare with taking a train. However, the train is still more favor because it can help you to save on night sleep in a hotel. So just consider your schedule and your budget to choose the most suitable option. Thanks to the new highway, it makes this option is much easier but still required a lots or brave and skills. Taking a motorbike from Hanoi to Sapa is a tough option for travellers who want to experience the most. Motorbike is the most common transfer in Vietnam and the feeling of wind go through your hair is priceless. Moreover, you can easy to choose to stop anywhere on the way to catch all the great moment. As I mentioned before, the road to Sapa is stunning and beautiful, but also come with that are curly turns and many hills. 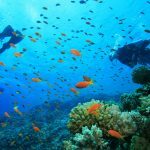 This requires skillful drivers, and it’s highly recommended to have a professional tour guide to come with you. This will fully experience the breathtaking landscape and also the thriller road. Generally, people will combine this trip to go further to the North and visit Ha Giang province too. Sapa is amazing and always worth to visiting this lovely town, even if you have already been there. 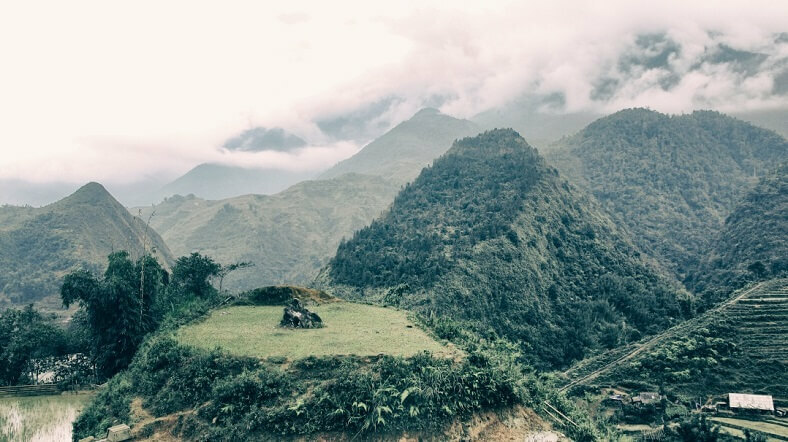 If this is the first time you go from Hanoi to Sapa, then taking a train would be the best way to let you enjoy the road and also have enough energy for trekking. But if you are familiar with this place, then plan and don’t hesitate to grab a motorbike for this. You will see a different Sapa and get more chance to go further into those peaceful villages.